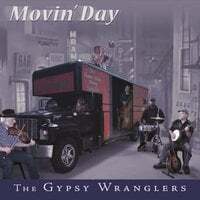 Based in the Pioneer Valley in Western Massachusetts, the Gypsy Wranglers have entertained audiences with their unique brand of acoustic swing music at festivals, concerts, weddings, fairs, schools, radio broadcasts, dances and cruises throughout New England and Canada for nearly 20 years. We were voted the Pioneer Valley's Best Swing Band for six straight years in the Valley Advocate Poll. Over the years the band has developed a great following and a large, diverse repertoire. We have been performing every Sunday morning at a Delicatessen (The Black Sheep Deli) in Amherst, Massachusetts since 1998. We've appeared multiple times at the Champlain Valley Folk Festival and the International Accordion Festival (Montmangny, Quebec) as well as Sumerfest (New Bedford, Mass) and many other venues. It would be hard to find another group that plays Louis Armstrong's "Struttin' With BarBQ" with trombone, chromatic harmonica and 4-string banjo, or the Brazilian classic "O'Pato" with chromatic harmonica and electric mandolin. This band has fun, and it swings.